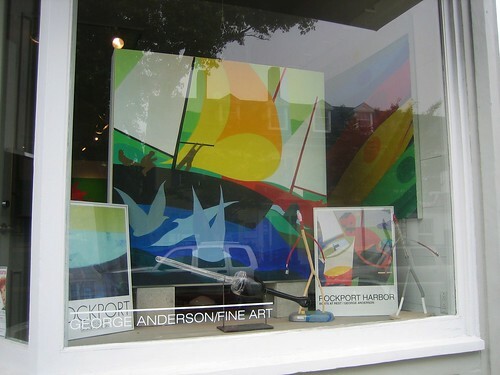 While I was in Rockport yesterday I took a stroll over to George Anderson’s studio and gallery. Bright colorful nautical imagery is unique and captivating. I wanted to visit Sarah Elizabeth’s Block printing studio but it was closed on Mondays and Tuesdays. Total bummer. 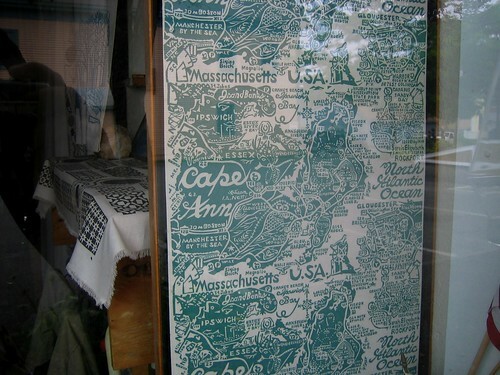 I took a photo of a lobster block printed fabric and Cape Ann print from outside the store. I’ll stop by next time I’m in town! Love your blog! I just visited Acquire in Boston last month. As I was reading your blog I thought about that particular shop and that you would like it – then kept scrolling down and saw the post on the Edna Lawrence Nature Lab and realized you already know about Acquire! I love the shops you found closed and hope you got back over to visit them. I absolutely love the Cape Ann print! Gorgeous! Both of these places look great! 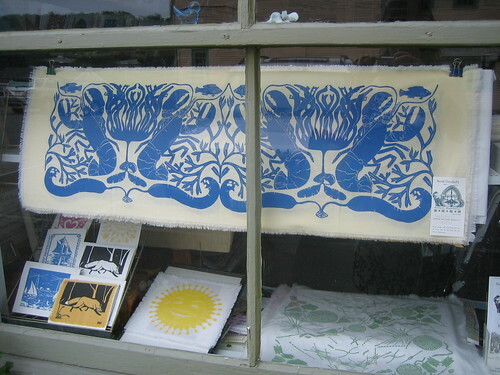 Too bad Sarah Elizabeth Block Printers was closed…..I'd love to see more pictures. I do my own block prints, and I love love love it when others share their talents through printmaking! 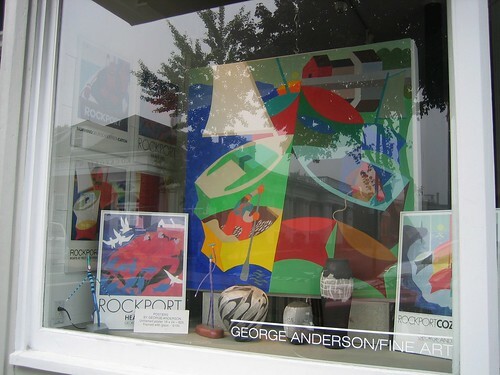 I used to have a house in Rockport, and we were lucky enough to get to know George and his work. My folks even bought one of his pieces! I'm so jealous that you got to stroll through the "port" – I hope you stopped for a lobster roll and fries at Lobsta Land! oh these are gorgeous! those colors in the first image are a wonder! would love just the thing on my bedroom wall.